When I walked into Scripps 111 that first Monday night at 6pm my freshman year, I had no idea my life would be changed forever. I sat in the end seat, right by the podium, listening to the Chapter President, Heather Farr, go over the announcements and I instantly knew I wanted to be just like her. 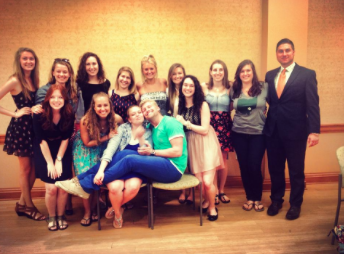 From that moment on, Scripps PRSSA became embedded into my daily routine. 4 Thanksgiving Dinners, 3 National Conferences, 3 executive board positions, 3 networking trips, 3 COPRSA Leadership Rallies, 3 PR Bootcamps, 2 COPRSA Match Days, 2 Scripps Summer Challenges,1 Regional Conference, 1 PR Career Week, 1 Chapter President Leadership Rally, 1 National Assembly, 1 Bateman Competition and countless hours later — I am getting ready to leave this amazing organization that has given so much to me. 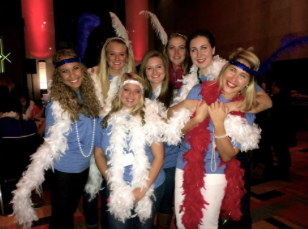 Scripps PRSSA is so much more than another organization to join. It is much more than a line on your resume, or a talking point in an interview. While it is true that “you get out what you put in”, Scripps PRSSA welcomes you with open arms, making it hard to not give it your all. 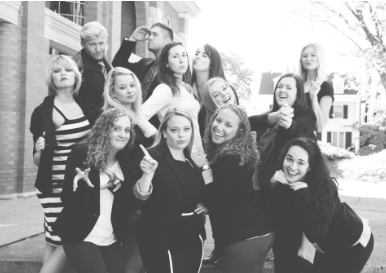 When you decide to join Scripps PRSSA you become surrounded by a family; a family that pushes you to succeed and become the best you can be. To the freshman — First of all, congrats on making the decision to get involved with Scripps PRSSA at the beginning of your college career! You’ve made the first step, now stick with it. To say that you are the best freshman class I’ve seen in my 4 years here would be an understatement. To the sophomores — You survived your freshman year and you’ve started to take on leadership roles. Now is the time to find your voice, your confidence, your ability to lead and teach others. It is your turn to become the mentors and role models. But most importantly, now is the time to stick with it and don’t give up! To the juniors — This is the hardest year of your college career. Trust me, I know. But amidst all of the stress and panic attacks you’re having every other day, remember to take this time to breathe. Take a step back and look at how far you’ve come these past three years. Realize how much you’ve grown and achieved and know that you can get through this. To the executive board — Thank you. This year would not have been as successful as it was without each and every one of you. Thank you for sharing your triumphs and trials with me. Thank you for putting up with my dance parties, group hugs and massage circles. And most importantly thank you for stepping up to the plate, for challenging yourself to be dedicated to this Chapter and its members. Thank you to past presidents Heather Farr, Allison Jordan and Nicole Spears for paving a path of greatness and being amazing role models for me. I would not be who I am or where I am today without each of you. Thank you to each and every member of this Chapter for believing in me and for allowing me to lead you. It has been my honor to be the President of this Chapter.